The low 7900's that went back to 77th is not even true lol. 1st its only 2 buses we got from 77th which are 7903-04. Which are both at 103rd. All garages have rehabbed 1000 series so I don't see the unfairness there neither unless you wanna mention them having the oldest nf but so does my garage but still irrelevant cause they're all rehabbed. I was the 1 who said FG might lose their Novas in exchange for flyers but that doesn't mean it's going to happen lol. I have my reasons as to why I said it but I wont speak on it to just to avoid the back and forth. But currently as I said more than a few times at this point, FG still has 89 new novas so why are you guys still upset? I get the 6400's are still there but they're also on the way out. It's a reason FG have the fleet they have. You a former Operator I'm assuming from that garage so you know just as well as I do how different things are from the North and South side of the city. Kedzie and NP dont have Novas at all but you dont hear anybody on their behalf upset like you and Bus Hunter. Bus Hunter dont even ride public transit so I definitely dont see his reasons lol. He mad about the "lack of new buses" when he riding past people at the bus stop in his personal vehicle 🤔🤔😄😄 come on. Its Novas all across the city now. I feel all garages should get 60 a piece but since that's not the case as of yet FG still have 89 in comparison to our lil 20 so yea. Where did I swing at you? I didn't. No insults, name calling, personal shots. I ve respected your opinions which I ve stated which ones I agreed and disagreed. Bottom line is CTA will do as they please and our opinions don't matter. As long as I have decent bus service in my neighborhood, I won't complain about old buses serving my neighborhood. Last thing is when you speak, whether verbal or written, you should expect a response to your statement. If you want your opinions respected, respect others. Disagreement is not swinging at you. GUYS!!! Just caught #8347 on the #76!!!! A rare catch! The 8325s are now in service! Rumor has it that effective 4/2/17, 98th St Yard will temporarily close due to construction of the 95th St Station and Red South equipment will be stored at 63rd/Ashland Yard and restore some Red trains via Green from Howard to 63rd/Ashland as well as to 95th St. Certain weekend closures of 95th with trains and buses going to 87th St. Could anyone shed some light into this? Just a guess... If you have time, take a look at CTA roll signs for sale on eBay, past and present. In most cases, there's a barcode printed on the side of the roll sign that scrolls along with the destination. During normal operation, the train operator uses the two destination knobs in the cab to select a destination. A scanner of some sort picks up what sign is being displayed by the barcode. If the barcode that is being scanned matches the selection, the motors that change the destination stop moving and all is good. In some cases dirt or other crud gets stuck on the barcode and that's what causes some to behave erratically (may be why some destination signs are blank). However, there are other cases of undesired moving signs: I remember @briman94 discovering that the roll signs on the 3200s move when some operators use abnormal methods to override the ATC penalties without use of the ATC bypass mode. The signs would move out of place, and then move back to their normal position (Kimball or Loop). On some 2400s, getting temporarily gapped at railroad crossings (like on the Purple and Yellow Lines) would cause the roll sign units to start scrolling in a direction (I'm not sure if it's the same direction every time). After the train contacted the third rail again, the signs would scroll back to their selected position. I have personally witnessed this on the Skokie Swift, and there is a video of a Purple Line set of 2400s exhibiting this behavior. Oh man, you in it for a real treat @BusHunter!!! #8240 #8241 #8242 #8243 #8244 #8247 #8248 #8250 #8251 and #8252 have arrived!!!! Also, bonus shots of the actual engine without the mesh and #8252's decals on the left!!!! Let's do some math. There are 450 7900 series Novas split among 5 garages. Split evenly, each garage would have 90 of those buses. We know this: 103rd has 20 77th has 98 74th has 100 FG has 89 C has 143 With the exception of 103rd being way below average and C being way above average, the other garages are near the average allotment. Based on those numbers, no one can reasonably say FG got shafted (103rd only has 20). I'm not whining about anything. YOU are! FG has 89 new Novas and you're still not happy. Not only are you not happy about FG having 89 new Novas, YOU are constantly whining about what's on the South and West Sides. You can't say this is political because Rahm isn't running for reelection and this move happened just before election day. Without directly saying it, you are expressing your opinion, feelings, that CTA (by extension the Mayor's Office) caters to the predominately Black residents of the South and West Sides for political votes. Your posts concerning the 5000s further prove that point. I've never disagreed with you that 8200 - 8349 ALL should be at FG and CTA should be making a concerted effort to get as many 6400s off the street as it can. But I'm tired of reminding you that during the '70s, '80s, '90s, and the 6000s at 74th in the 2000s, it wasSouth Side garages getting the shaft. Every garage has some old equipment sometimes. Even NP, which seemingly has the best equipment, was the last garage to retire the MAN Americanas and the 7000 and 7100 and 7300 series MAN artics. They were pretty much the last to retire the 4400s. So please relax! The 6400s will eventually be gone. Perception is everything. Back in 1982 when I was living in New York, the newest buses were brand-new RTS's with hard plastic seats. One day instead we got an elderly 1964 fishbowl that had upholstered seats as it had been a Staten Island Express bus, but had now been degraded to an unassigned "shop spare". Now most people by then in New York had never seen a bus with upholstered seats, and two behind me were saying how nice it was to get a new bus with such nice seats. Most people have no concept as to how old a bus they are getting on is. A more comfortable but much older bus is seen as an improvement. I doubt that the vast majority of riders is at all concerned about the age of the buses. Even with the most elderly equipment in the system, the operators and technicians at FG still manage to provide a safe, reliable ride from Point A to Point B. I think that's all that matters. Seems to me that Artthouwill, Sam92, and Mr.cta85 have all offered convincing reasons why things are as they are. Incidentally, I'm a North Sider and a onetime CTA bus pilot: 1969-76, FG and NP. BusHunter and CTA 5750, I understand your feelings, too, but like I said, I don't think that most riders really care. That's for the mods to tell me not you. The situation has been reversed. That is the part you are in denial about. Other posters and I have pointed out the history that you choose to ignore. It's okay for other garages but not FG, even though to this point, the newest buses are at FG. That's all that's needed.... just the link, not the whole "search and find" rapport. I've been away on a live feed for quite some time, hence my long period of absence. And I've learned on that feed that working with the Moderators and various people who stop to chat that working together and helping when someone asks a question or is unsure makes a happier, more productive chat(or in this case, forum). We would post links and direct them to the links that were available when needed rather than just say "find it yourself". Being helpful to the follow chatter(or in this case, poster) goes a long way. Let's work together and help each other! Just passed #6729 on route #626 and it's now wrapped like the I-90 buses with the Pace Express logo on its side. Meet Emily! Tuesday afternoon, Skokie Shops. Here is the flyby video for this week (5-2-17) I also took a couple shots at street level of the future station house as well as a closeup of the new staircase just added this week on the NB platform. I also took a shot of the elevator and station construction so far. Historical item - a while back somebody asked if there was a list of CTA bicentennial buses. Well, there is. Attached is a bus and rail list. Bus list should have included one additional bus, done late 1976 after list came out - 9040 - "Mom" Rinker. The notices are posted! The Transfer Bridge is now gone! The old station house will be out of revenue service on September 26th! Evanston-bound Purple Line Express will be the only service operating on the old infrastructure along track 4. So, do they want to trade some for some 6400s? I know where some are available. That was coming from one side of the equation though whom we've seen that type of thing from before and not all parties involved, so I think yes there still is an element of confusing the whole discussion with taking the whole thread south, in this case based on one individual's conduct. Telling that individual that their proposed idea causes more problems than are solved and is ultimately unworkable in the form presented is not being uncivil to that individual or committing any kind of personal attack. So again, let's not confuse Mr Payne's excessive passion for his ideas with everyone else stooping to the same level simply because they happened to disagree with his ideas and he himself can't separate disagreement with his ideas from a personal attack. It's not only a matter of buses being sufficient given the bus (#26) came after the train in that area. It's also the matter that the proposal as structured would leave CTA with having to work train schedules around the remaining Metra Electric Main Line and Blue Island Branch services and the South Shore Line. That's a headache from the start, and the current ridership on the South Chicago Branch makes it even more of an unneeded headache that CTA is best served steering far clear of. It's not worth the effort or money. There are a number of other reasons we discussed in past years of why this idea is flawed like CTA having to pay Metra for maintenance of the cars since these are Metra's cars starting out and obviously CTA maintenance personnel would have no experience fixing the cars. This is one of those ideas that sounds good on paper but in reality is impractical. As such folks just need to let this idea die and finally rest in peace for good. True it's still a Nova but would you want to be the first guy who scratches or damages one of the new buses after the garage just got them? He would never live that down from the other operators. Lol. Give it some time and they'll get comfortable with operating them a little quicker but still safe. Here it is guys! What the hell did they do to the seats though?!?!?! Also, notice the two stop requested buttons at the front (a very good idea for passengers who are senior citizens and disabled). There are 13 stop requested buttons total (7 on the right and 6 on the left) exclusively on the 8200s. I need to know the rest of the specs because these buses are not the same as 7900-8199. By the way, #8203 is also on #77. It is the NORTH Side. Last I checked the 8, 9 and 49 are served by South Side garages and the 53 and 54 are covered by a West Side garage. Power issues are one of the main reasons why CTA can't run a large number of 5000s on the Blue, and fleet commonality between lines is another reason. CTA won't run different series of cars on Red/Purple/Yellow or Pink/Green just to please Blue Line riders; they want the flexibility to swap the cars between those lines. Also, the 5000s running on the Blue are still technically assigned to the Pink Line and are operated by Pink Line crews, so commonality with the 3200s isn't much of a problem right now. It seems like some Blue Line riders remind me of those in NYC who complained about losing their R142A cars on the (6) train. Blue Line riders are not entitled to the newest equipment any more than riders of other lines. Another short freight train on the UP North line at Addison and Ravenswood heading south. About 15-20 cars total. Found this today at a city fuel site off of 35th st. Got to look inside. It is #6539 There was a second bus. Didnt see that one up close. Saw these cars in the KYD yard (ME) was surprised as these cars look old..... Like some of the cars on the Aurora line.. judging by windows. If it shows block numbers only, it is almost useless as a "block number" is not really trackable, as they do not show up even on supervisor guides. By the way, a block number refers to where the bus spends the single largest portion of its day. For instance, you can have a bus that is used on four separate routes between pullout and pullin (such as a tripper going downtown to work shuttles) and have a block number from one of the shuttle routes because it is on that route one minute more than the main route such as 135 that it went downtown on! Also, run numbers work the same way. I work 1209 on Saturday, which is basically a #111 and #115 run, but because these two are considered "separate routes" even though they are operated as one, we have a #29 run number because the one round trip on State takes longer than time spent on either #111 or #115. I have been very civil. It would be a shame for this thread to be locked because of disagreement becoming personal. And I know that there are multiple efforts to see the Gray Line proposal become realized. My opinion is that this isn't practical or fiscally doable. I believe that if this were to come to pass, you will see a CTA fare hike with fares around $3.00 which is closer to the current Metra fares that the targeted demographic can't currently afford. 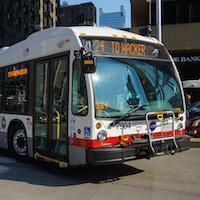 Remember that about half of CTA operating budget must come from the farebox. If you increase operating costs (pay Metra for personnel, electricity, track rights, maintenance,) and decrease revenue ( lower fares) you increase your operating deficit. The only fixes at that point are service cuts and/or fare increases which always leads to loss of ridership. I work in transportation for a living with emphasis on operations and have done so in one capacity or another for 30 years so I am not just some foamer. I also would like to see Gary airport thrive and bustle, but if people don't fly from there and the airlines don't see it as being profitable, it won't happen. Just look at MidAmerica airport downstate which was supposed to be St Louis second airport. American Airlines said that they would never fly there before the airport was even built. It was built anyway, and for the longest time, it had no commercial air service. Now maybe Allegiant flies there, but Illinois spent money that has not produced what people thought it would. I believe that the Gray Line proposal will head down the same path. This is extreme zoom and may be grainy, but I got an image of a 8 car set of 3200's pulling into the Kimball station with a blue light on a car. The train was marked "Not In Service ". Sorry for it not being a closer shot, but there were too many employees near that end of the station. #8220 #8221 #8222 #8223 #8225 #8226 and #8227 have arrived. #8023 will be resuming service tomorrow. #8211 #8213 #8216 #8217 #8218 and #8219 will arrive at Forest Glen tomorrow. I don't know what's the deal with #8212 and #8246 because they are still at the shop. Also, #8194 is at the shop but no timetable of beginning service so far. Here's a shot of #8215 from today. Ghost buses on the #77 this afternoon included #8201, #8202, #8203, #8204, #8208, and the ones appearing #8207 and #8215. I notice alot of the ghost buses were harlem pullins today or trippers like they are trying not to run the ghosts not so much and also they were separated by 3 or 4 buses to not make the tracker have such big gaps because that is misleading to riders. Didn't see #8210 maybe it has a problem. #8214 wasn't there either from the 3rd yard. #8206 so far has ran that same defective bus sign it had now for at least 3 days. It was mia today. I can only hope they'll fix it. If they intend to run it only on belmont why not give it a paper sign?